Sometimes, Steampunk books are serious challenges to the ideals of the Victorian age and tread on the dark side, and other times they are silly fun. 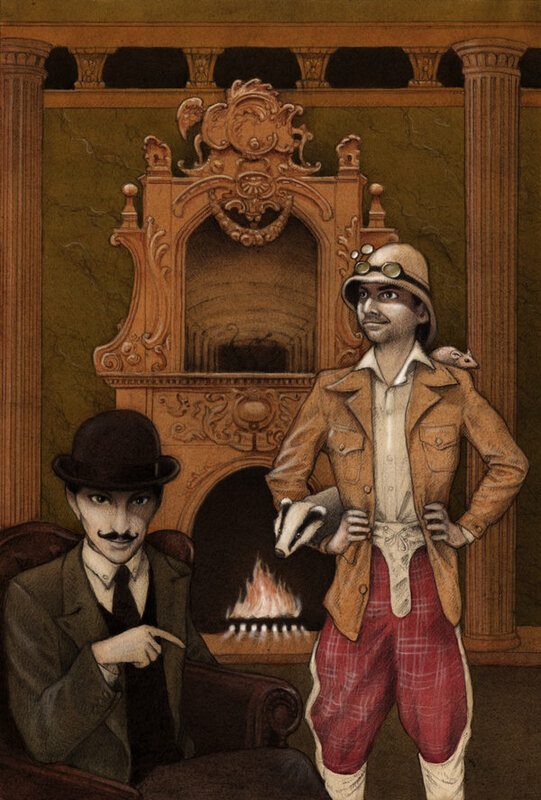 Letters Between Gentleman, by award-winning “chap hop” artist Professor Elemental and accomplished author Nimue Brown, is most definitely the latter. As implied by the title, this book is presented as correspondence between the mad genius, Professor Elemental, and his hapless benefactor. The sister of said benefactor is concerned for her brother’s welfare in light of the string of accidental deaths at the hands (mechanical, animal or some combination of the two) of the Professor’s creations. So she hires a private detective, Algernon Spoon, to look into their association. The book is also populated with the Professor’s “Notes to self” on a range of topics including the best way to preserve beheaded badgers and his on-going battle with the mice he trained to take dictation. The format left a little to be desired, but on the whole I really enjoyed reading this book. I regularly laughed out loud at throughout at the crazy inventions, cease and desist letters from would-be clients and humorously exaggerated gender norms. Some books carry their readers along on a tide of action, but I kept on reading this one because it was purely entertaining. Letters came out in September of 2014 and is available now as an ebook or hardcover. If you aren’t familiar with the Professor’s music videos, check out the animated piece featured on Disney’s Phineas and Ferb below, or watch any of several posted on his website.